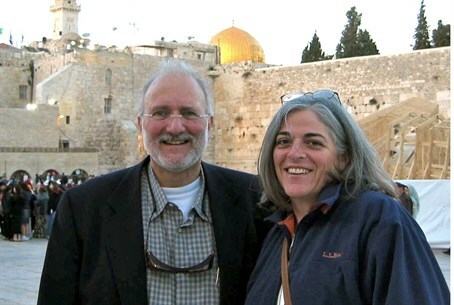 Cuban authorities say American-Jewish aid contractor Alan Gross in 'stable' condition, after nearly a week on hunger strike. Jailed American Allan Gross is in "good condition," the Cuban government said Wednesday in response to news the USAID subcontractor had gone on a hunger strike to press for his release. The foreign ministry said Gross was being "held in a hospital not because his health requires it but because it guarantees that he receives specialized care by highly qualified medical personnel." He has received "dignified and decent treatment," the statement by foreign ministry official Josefina Vidal said. The 64-year-old was arrested in December 2009 for allegedly distributing telecommunications equipment to members of Cuba's Jewish community under a contract with the US Agency for International Development. He was sentenced to 15 years in prison in 2011 after being convicted of "acts against the independence or territorial integrity of the state." On Tuesday, Gross said in a message relayed by his lawyer Scott Gilbert that he launched his fast on April 3 to protest his "inhumane treatment." He also called on Cuba and the United States "to resolve this shameful ordeal." Gilbert said Gross has lost 110 pounds (50 kilos) in prison and was in failing health. "Alan Gross is in good physical condition and his health is normal and stable," Vidal said. "The Cuban government reaffirms its willingness to find a solution to Mr. Gross' situation with the US government that takes into account Cuba's humanitarian concerns relating to the situation of three Cubans, members of the Cuban Five, who remain unjustly imprisoned in the United States for more than 15 years," she said. The so-called Cuban Five are intelligence agents convicted in a 1998 US spy case. The foreign ministry statement said Gross had received visits from his wife and lawyer and that he had regular phone and email contact with them, as well as other family and friends. "He received weekly visits by consular authorities, as well as political and religious figures," it said. These latest developments follow disclosures that USAID created a Twitter-like social network from 2009 to 2012 to enable Cubans to debate conditions on the island among themselves. The White House, while acknowledging it was USAID funded, has denied that the ZunZuneo network was part of a covert operation to stir unrest against Cuba's communist government.